When you visit the dentist’s office you’re likely to see a broad range of strange-looking equipment, and that’s before they pull out the tools used for doing an examination. While many of us just take it in as part of the environment and leave concerns about what these things are to the professionals, some of us prefer to have an educated view of what our dentists do, or at least to sate our curiosity about all these unusual items. After reading this article your next visit to the dentist won’t be full of so many mysterious tools and pieces of equipment, instead, you’ll be able to identify them with ease! What Am I Likely To See At The Dentist’s Office? There’s a huge range of equipment that your dentist uses to do their job effectively, and a variety of others that are there just to make your visit a little more comfortable. While you’re sitting in your next dentist’s appointment, why not see if you can identify these pieces of specialized equipment! • Intraoral Camera – This camera is a way to help your dentist view the inside of your mouth without having to bend their head to look around in there. The whole time the camera is in use what it sees will be displayed on an HD TV screen right there in front of you. This allows the dentist to explain what he sees, and for you to ask questions! • DIAGNOdent – This clever little device is a laser that the dentist uses to help identify cavities that are either hidden or simply too small to easily see with the naked eye. Identifying the cavities when their small helps the dentist stave off more intensive repair work by dealing with them early! • Isolite – Ever gotten tired of trying to hold your mouth open during an exam? Do you regularly get reminded to open wide while you’re sitting there because your mouth slowly drifts closed? That’s where the Isolite comes in, a comfortable way to hold your mouth open during an examination while simultaneously providing a valuable source of light for the dentist. 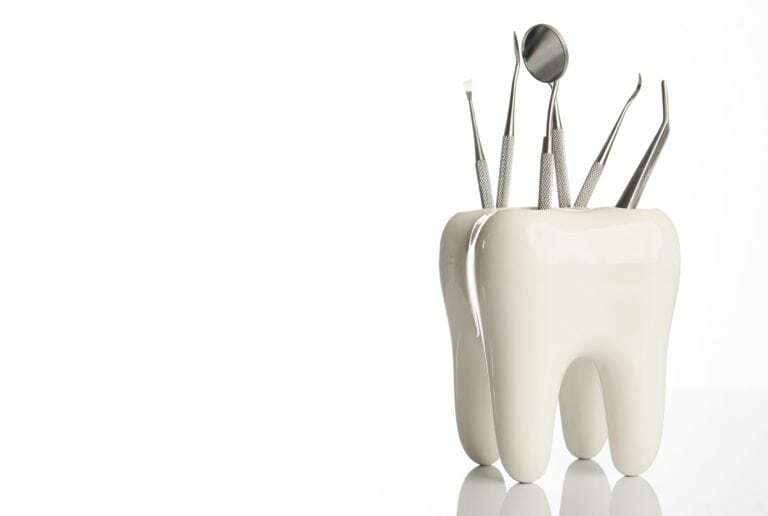 These are just a few of the things you may encounter in your time at the dentist’s office, each of which plays a central role in your visit and are important parts of the dentist’s diagnostic toolkit. It doesn’t end there though, you’ll also see drills and scalers, x-ray machines and in some cases you may even encounter a machine that can manufacture dentures and implants right there in the office. The next time you find yourself at the Alameda Dental Group, be sure to ask about all the interesting pieces of equipment you see. They’re usually happy to talk about them, and it can be enlightening to learn more about the things that make your visit to the dentist effective. While you’re asking about things, don’t be afraid to ask Dr. Alireza Movassaghi about the things you see in your mouth or what you’ve experienced in between. Using things like the intraoral camera, you may see things you’ve never seen before on your own body!